Stitch Story: eWoodStory in Australia! We are thrilled to announce that the wonderful freeform fibre artist, Prudence Mapstone, will be selling our Mini Masterpiece frames at her events in Australia. 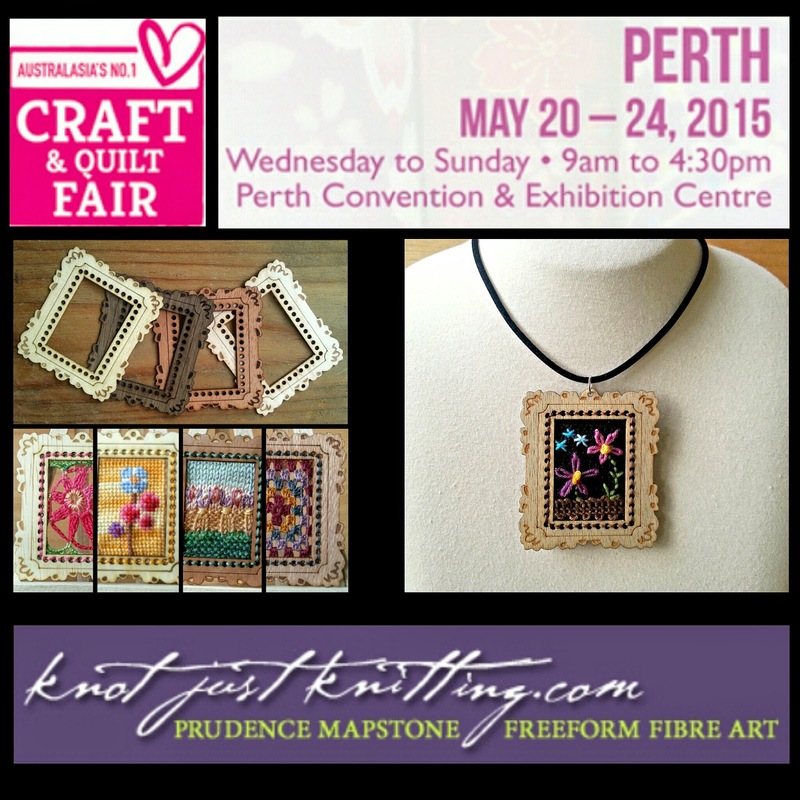 You can find her in Perth, next week (May 20-24), at the Craft and Quilt Fair, stand #F09, at the Convention and Exhibition Centre. To see all of the events she is participating in this year, have a look at her calendar. The frames are also available in our Etsy shop, and can be shipped worldwide.